The Internet has become a valuable resource for businesses, as it allows them to advertise and get their message out there cheaply and to a wide range of people. Most businesses employ a process called Search Engine Optimization, which aims to increase traffic to a website by making it more visible on a search engine. This is a great way for a business to increase awareness of their product or service while driving more traffic to their website. When seeking an SEO company Vancouver it is vital to know some of the basics. SEO companies in Vancouver will use a variety of SEO tactics to increase a website’s traffic, some of which are more ethical than others. There are two basic styles of search engine optimization known as White Hat SEO and Black Hat SEO. As their names would imply, the two take very different approaches to optimizing search results. White Hat SEO practices are those that do not employ any deception or other shady techniques to achieve results. They conform to all of the rules and designs of search engines and do not try to take advantage of loopholes to get better results. On the other hand, Black Hat SEO techniques use deception to try and trick search engines into giving higher rankings. Black Hat SEO practices are considered unethical in the industry. An SEO company Vancouver that uses White Hat SEO practices is one that will conform to all of the rules and regulations of the search engine. SEO companies Vancouver that use Black Hat SEO techniques will not conform to the rules and risk being banned from the search engine, being penalized, or given low rankings that could negatively impact how people look at the site. White Hat SEO practices involve good research, original writing, analysis and re-written meta tags to get the desired results on a search engine. There is nothing unethical about this and when done correctly these practices contribute valuable information that Internet users will appreciate. Black Hat SEO practices include things like keyword stuffing, hidden pages, hidden text, comment spam and other unethical practices. Usual Internet surfers will not be pleased with these pages, as they rarely provide useful information. 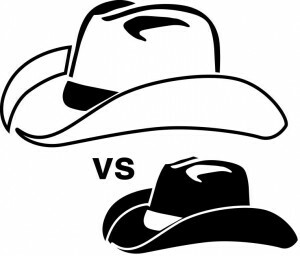 Anyone seeking to hire an SEO company Vancouver should know the difference between White Hat SEO and Black Hat SEO. One is an unethical practice that seeks to deceive, while the other seeks to use real information to get results.